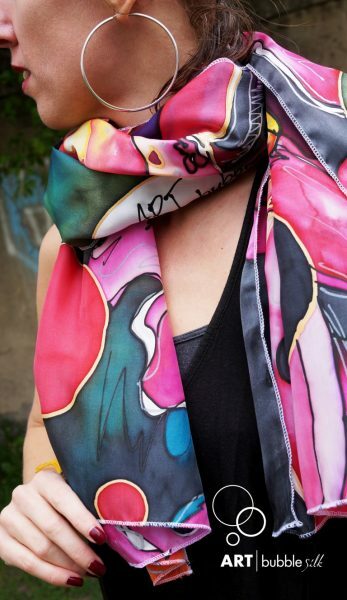 Wearing a hand-painted silk scarf is more than just a style statement today. What was once considered a premium apparel for mainly the affluent is slowly becoming a fashion fad for the mainstream. 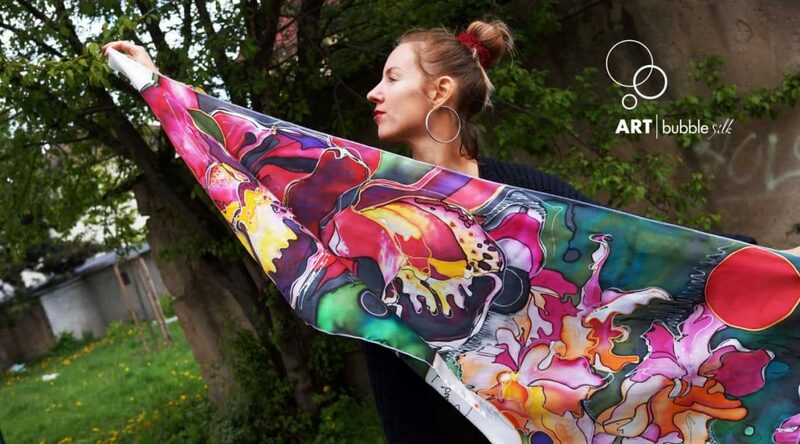 Thanks to the advent of custom silk scarves that are gaining popularity around the globe, the silk industry is growing faster than ever and is pegged to be worth approximately $17 billion by 2021. This makes me want to emphasize on the appeal and charm of sporting a silk scarf that gives you a way to not only wear your personality on you but also stand out from the crowd. Here are the top benefits of owning a hand-painted silk shawl or a wrap. Why Should You Get a Silk Scarf? Silk is one of the smoothest and softest textile materials in the world. However, that’s not the only reason why most people go for silk scarves. Silk-based products have the power to make you look stylish and cultured, and instantly enhance your appearance. Here we will go through the top benefits of owning colorful 100% silk scarves that can be custom-designed based on your peculiar tastes. Need a hand to brave the scorching heat as you go to work during the summer? A nice, cozy silk scarf worn around the neck can give you a much-needed respite. Silk has a moisture regain quotient of over 11%, which is a lot higher than materials like cotton, that helps you stay cool throughout the day. A silk scarf can go with virtually any attire. Need to look chic while at work and also for that Tinder date later in the evening? I’ll suggest a colorful hand-painted Ahimsa silk scarf that can complement any costume of any color tone. And with peace silk, you also show that you care about the environment. It can also save you a lot of money that you would otherwise spend on a separate dress. 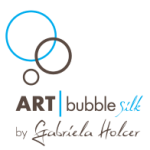 Get several custom scarf designs and expand your wardrobe collection. Have you ever been in a situation where you have to buy a gift for a person who has everything? Well, I have a solution for you. A hand-painted silk scarf can be a perfect gift for your loved one because it shows thoughtfulness on your part. Almost half my clients buy custom-made silk scarves as a gift for their better half. They believe in giving a unique gift to their spouses – something that has sentimental value and which shows effort. A hand-painted scarf made of Eri silk is not only cool but a solitaire item that will make your partner feel loved and admired. One of the best modern usages of silk scarves in women is attributed to its effect on hair. Thanks to the softness, lightness, and the gliding surface of silk, your hair will stay the way you styled it in the morning throughout the day without giving you any irritation. Targeted at the well-heeled consumer who does not mind chipping in a bit more for extra shades of comfort, silk scarves are creative items that can make you a solid fashion statement – at work, on a date, or even in a party. Getting a hand-painted silk scarf for your better half as a gift or for your own indulgence is an excellent idea. It feels good on your skin, has a lot of great benefits, and is always better than a bland scarf that is worn by a majority of the people around you. Go ahead, join the neckerchief trend! Get a silk scarf today! Buy a Gift Only She Will Wear – There Are No Copies!